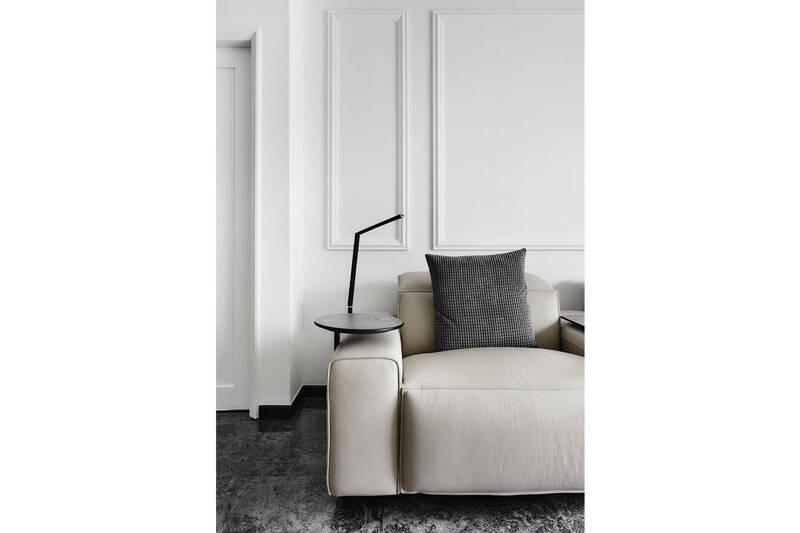 A monochromatic colour palette and a blend of contemporary and classic styles define this elegant weekday home. 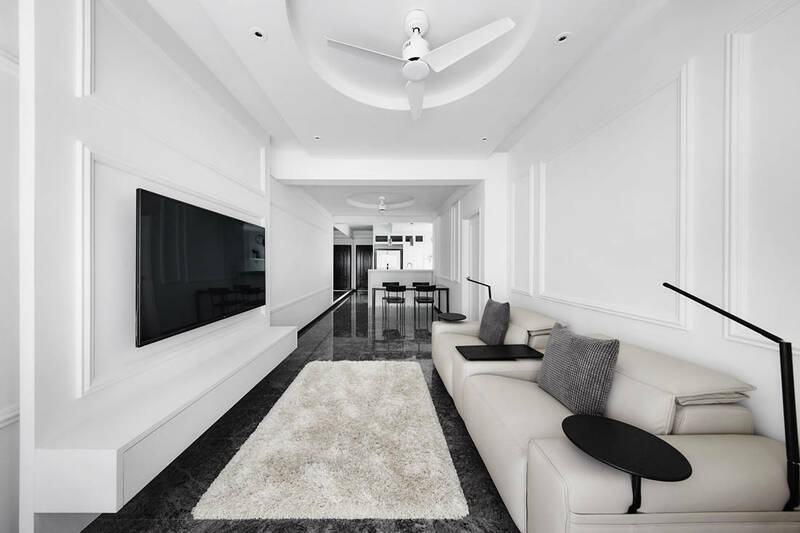 This 790sqft two-bedroom condominium in River Valley may be small, but it exudes modern luxury with its monochromatic classic-inspired look. 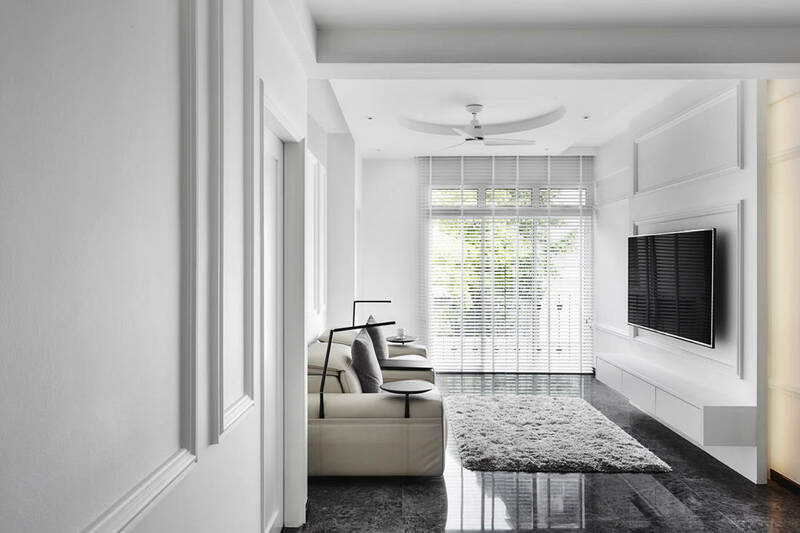 Designed by Kylie Lin of Third Avenue Studio, the apartment is a weekday home for a couple that lives in Malaysia and works in Singapore. 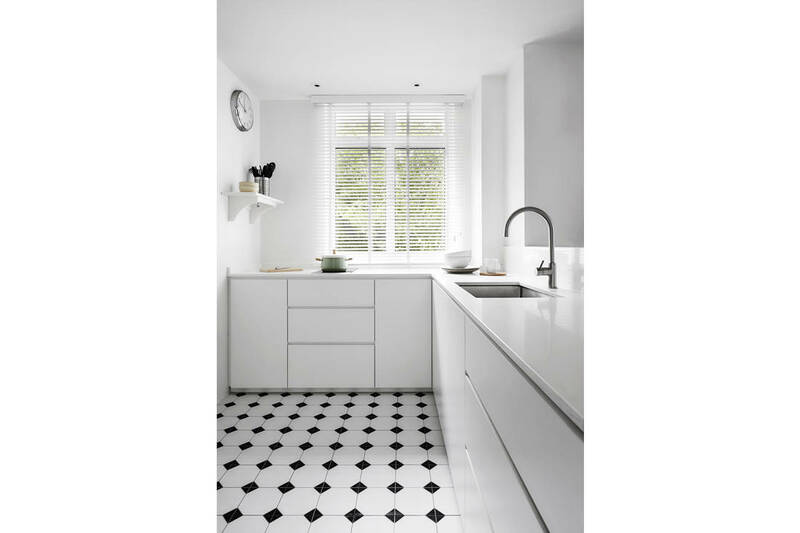 Renovated for $95,000, the home is quietly stylish with the use of only black and white materials and finishes. 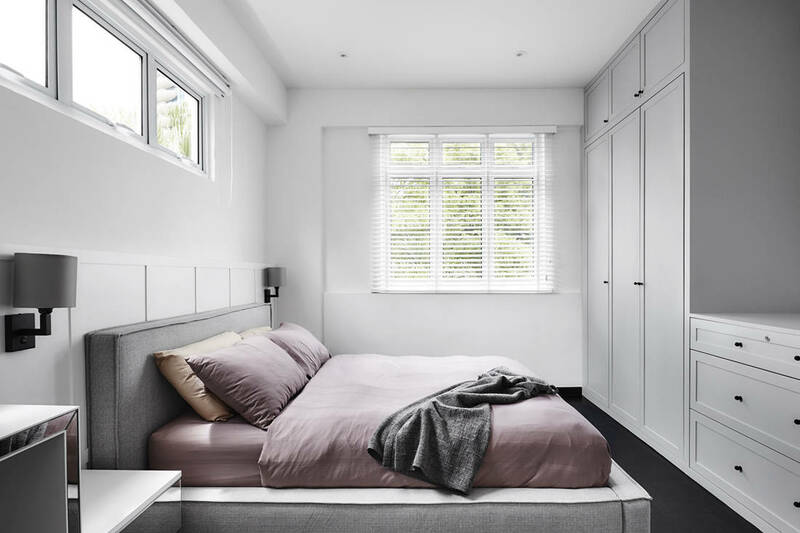 There is a balance of old and new ­– while the original granite flooring in the living area was preserved, and the parquet flooring in the bedrooms were stained black, the designer also introduced materials and structures to jazz up the look. 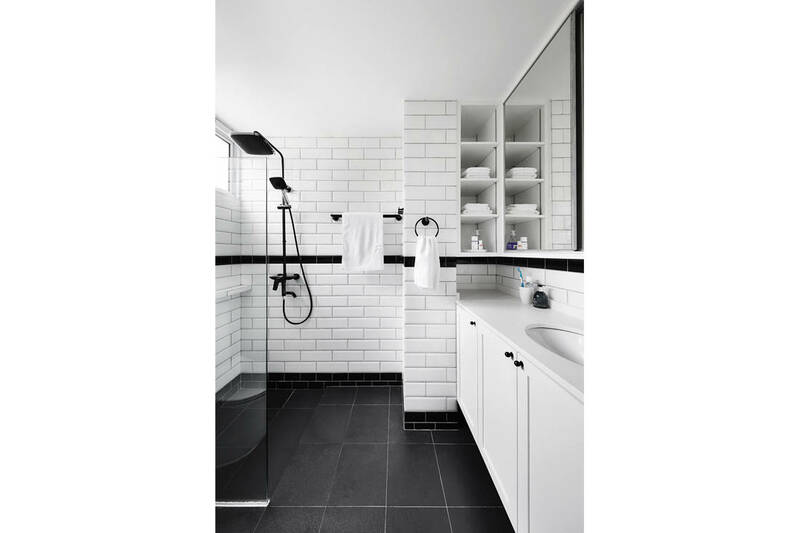 Subway tiles lend the bathrooms timeless style, mouldings give the white walls subtle texture and help define space, and clean-lined cabinetry enhances the functionality of the home without adding visual clutter. 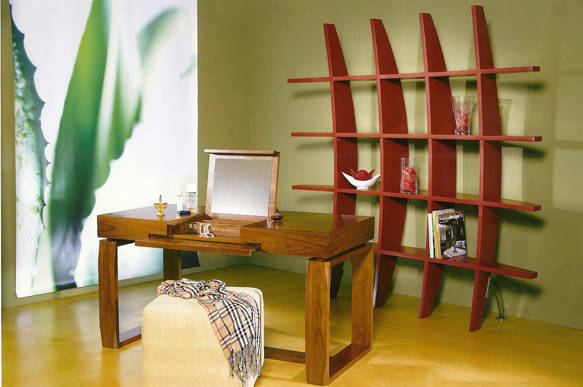 The designer made structural alterations as well. 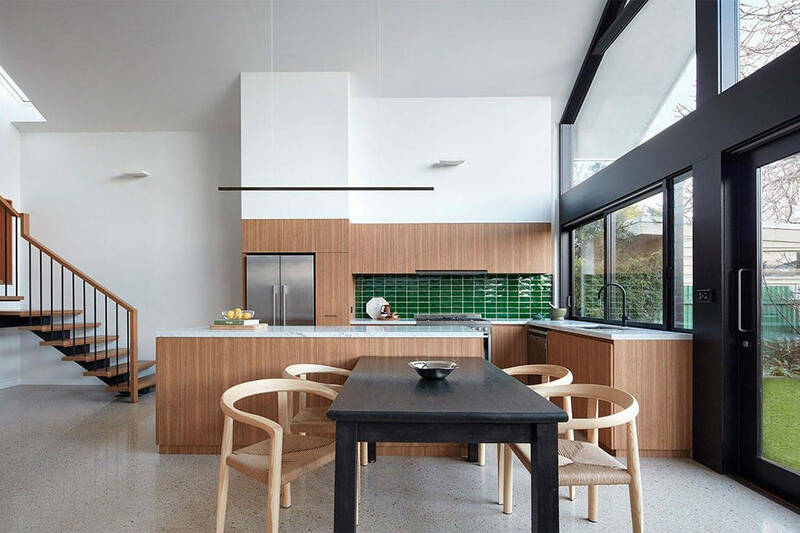 An impactful change was hacking the walls of the kitchen to open it up, to become part of a bigger, more social open-concept living area. Next to it, panels of mirrors were installed on the walls to reflect light entering the space on the opposite side, and make the walkway look roomier. The result is a sanctuary that is sophisticated and restful, giving the homeowners a home away from home. 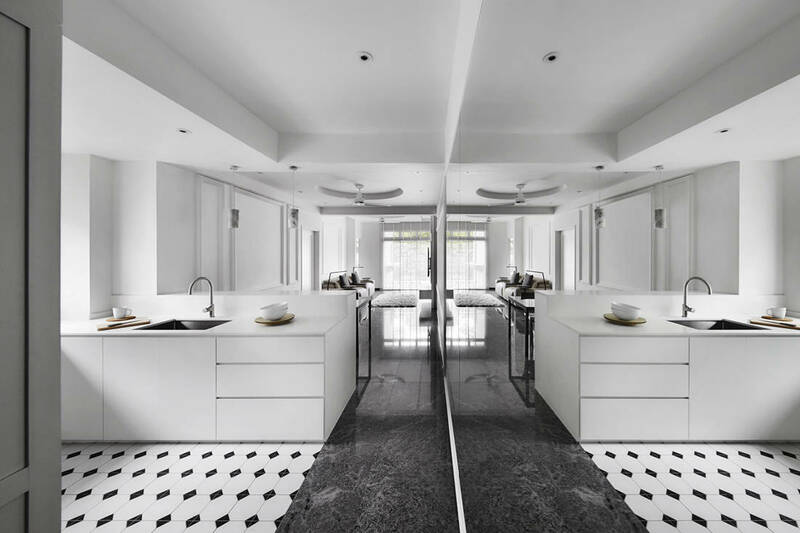 Find out more about Third Avenue Studio, and see other projects by the firm here. In its renovation of the Kingsville House, Richard King Design has maintained the building’s original workers cottage facade, and blurred the distinction between old and new. 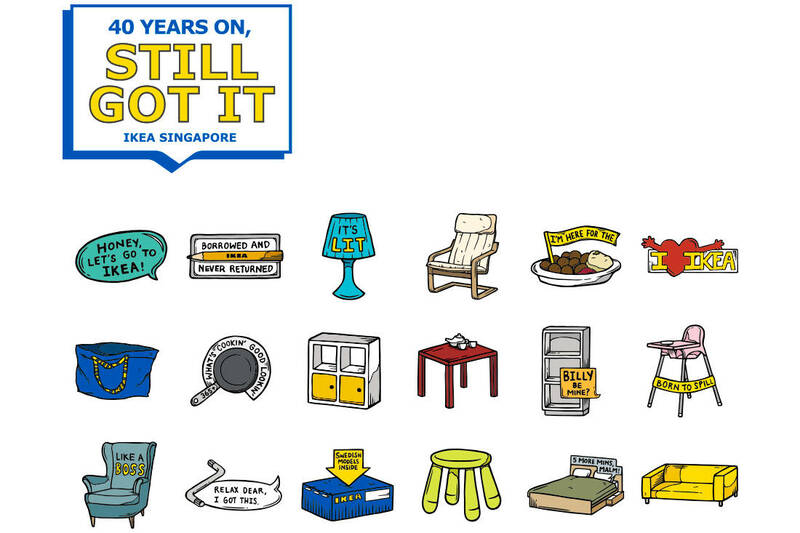 Win S$40 + cute pins: Because Ikea Singapore turns 40! 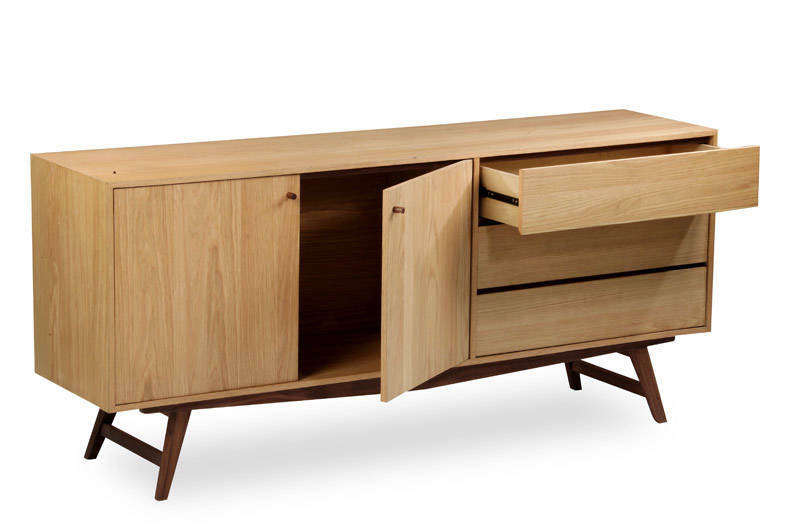 Singapore’s favourite scandi-chic decor brand is celebrating a big birthday and we’re giving YOU presents!